A Grape by any other name. 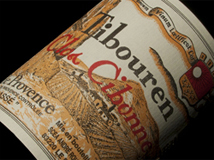 Last night I got to taste a very unusual wine: Cuvée Special Tibouren 2011 from Clos Cibonne in Provence. Tibouren is a grape grown in small amounts throughout Provence, where it is usually used to add a little spice and sometimes colour to the best Rosés, especially those from Grenache (which can tend to be lighter and more orange - usually a good thing to look for in Provence Rosé). I can honestly say that this is the first time I have encountered a red wine made entirely from Tibouren. 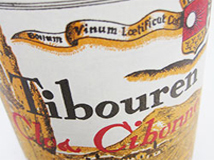 Clos Cibonne, however, have been specialising in making just this wine for centuries (since 1797, although we can't be sure exactly what was produced pre-phylloxera). It was delicious. Sort of a cross between a Rhône blend and a Beaujolais. It has a medium colour with spice and wild flower aromas and a soft palate of fresh red fruits. Very little tannin going on, but not a hint of the boiled-sweet character of Beaujolais made by the Carbonic maceration method. What is really interesting, though (well, I have to admit only in a geeky way), is that I have tasted red wines made entirely from Tibouren before, but it's just that they don't call it that where else it also grows. 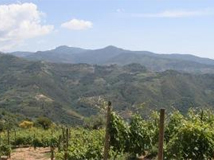 Over the border from us in Dolceaqua, just after Ventimiglia in Italy, the local grape is called Rossese. For many years the subject of some discussion about its origin - they get very upset when people liken it to Piemonte's Dolcetto, because it is more serious than that - everyone had always assumed it had to be Italian, because it grows in Italy, and that makes sense. Well, you guessed it. Recent (and really very recent) genome mapping has proved that Rossese and Tibouren are one and the same. It makes perfect sense for that to be the case. Plants are no great respecter of political boundaries, and that applies to grape vines just as much as it does to anything else. Nice, and the land up to the River Var - now definitely a part of France and Provence - used to be Italian up until Napoleon's cartographic fiddling (which is the reason why the River Var doesn't itself flow through the region of the Var by the way). Unsurprisingly, there was not a mass triffid-like exodus of the local grape vines at the time. But they did change names apparently. My favourite Rossese di Dolceaqua, and this remains a rare variety, planted to just a few hectares, is that of Filippo Rondelli at Terre Bianche, probably the best producer not just in Dolceaqua but the whole of Liguria. Filippo's wine is a little lighter than the Clos Cibonne, but somehow more elegant and silkier too. It has the bright redcurrant fruit flavours in common. Both wines go to show that local vines in their exact region of origin can sometimes provide the very best wine options. If all the world were planted with just Cabernet Sauvignon and Chardonnay, there would be a loss of the greatest attribute of all of wine - its diversity.